On Monday, we kicked off our second video series with Panna, a subscription cooking app and website dedicated to sharing recipes from master chefs in HD video -- and we previewed our second issue, in which Merrill made Reeve's Roasted Carrot Soup. Today, we're sharing more bonus footage: Merrill reveals how to simplify your clean-up -- no elbow grease required. Interested to see the whole soup recipe come together? 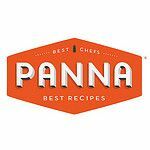 Watch the full-length video on Panna's website. And check out Merrill's other tip videos on cooking ingredients evenly and choosing the right vegetable stock. As Julie Myers said, parchment paper is reusable, and I've discovered that lots of recipes (buttery or coconut-oily cookies, for example) call for parchment paper when it is utterly un-needed. And lots of pans will be 100% with a quick scrub, if soaked overnight. Lastly, some of my sheets are ok in the DW.